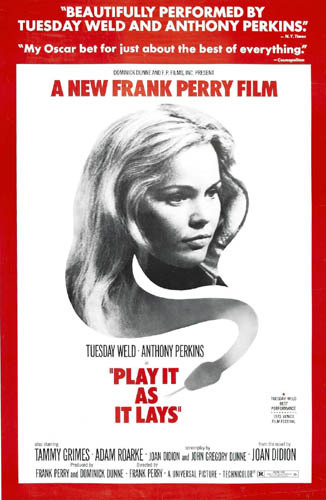 PLAY IT AS IT LAYS - (1972) (Color) 99 min: Starring: Tuesday Weld, Anthony Perkins, Tammy Grimes. In contemporary Los Angeles, a failed actress descends into madness after the dissolution of her marriage to a self-absorbed film director. 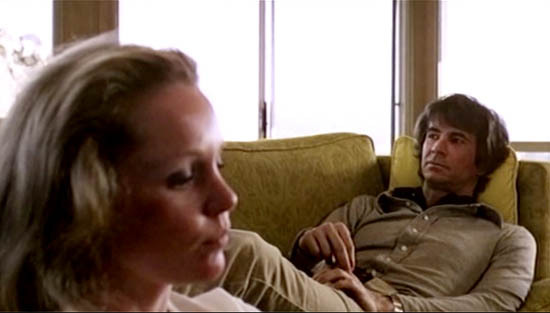 Writer Joan Didion, known for her exploration of California landscapes and mythologies, adapts her own novel about the dark side of Tinseltown. Considered by many to be a "lost" film abandoned by the studio for home use until now.